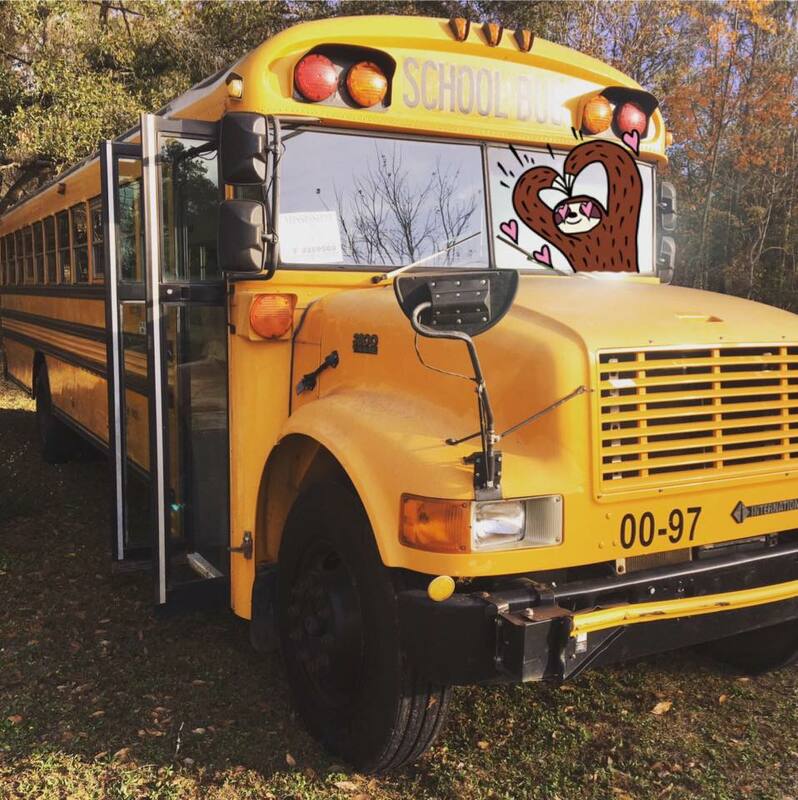 My wife and I bought a school bus to turn into a tiny home on wheels. We found the bus on Craigslist. It’s a 2000 Blue Bird International 3800 with a 7.3 liter Navistar T444E Engine and only 170,000 miles. The plan is to build this into our mobile home to be used as we make our way around the U.S., Mexico, and possibly Central and South America (not sure yet). The goal of that journey is to look for a new place to live. We are both from Florida. Neither of us have done much traveling (her more than me), and neither of us travelling internationally, unless you count a cruise to Mexico. With all of that we have decided to document the build, and other adventures we have in the process on to our Youtube Channel. You can find us on FB, Twitter, Instagram and Youtube under the name SlothHighFive. We will be starting a Patreon Account a bit later and have some great ideas for tier swag. So if you feel like giving us a look, a like, subscribe, comment, whatever, we would be grateful. Here is the second video in our series.